When it comes to walk-behind aerators, Exmark® is way ahead of the competition. Our 21-inch, transaxle-drive S-Series aerator is incredibly easy to use, thanks to straightforward controls for intuitive operation. 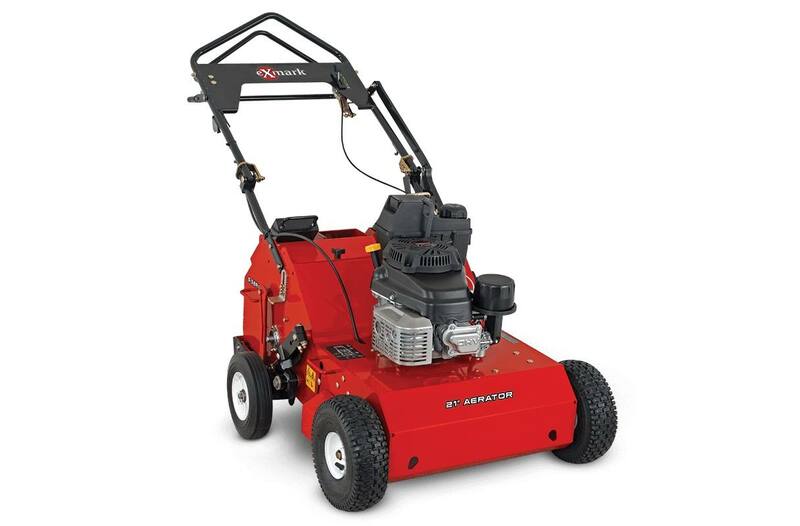 Reaching speeds up to 4 mph, it's capable of aerating nearly an acre per hour. Forward & Reverse Operation: Aerate in both forward and reverse. Heavyweight Performance: Standard with one 30 lb. weight, with space for two additional weights to add an additional 60 lbs. for heavy or extremely compact soils. 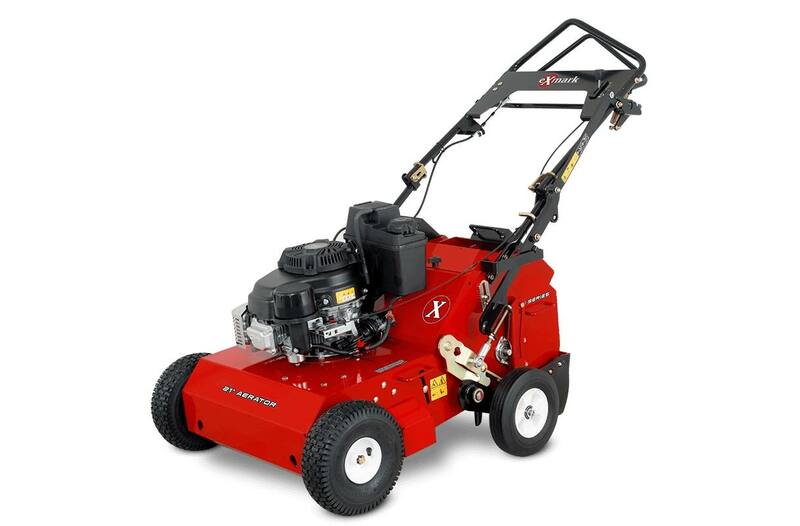 Commercial-Grade: This aerator features a rugged Kawasaki engine with infinitely variable drive speed and powered reverse for productivity and maneuverability. 3-Postion Adjustable Handle: The three-position adjustable handle allows you to adjust the handle to the height of the operator to maintain a better body position. The Key To Quality Aeration: If it's worth doing, it's worth doing well. That's why our models feature durable, heavy-duty, self-cleaning tines and pull 4.6 quality plugs per square foot. Core Depth: 2" to 3"
2 in. to 3 in.